On June 1st, 2008 Adobe officially launched Acrobat.com beta version for public use, and it’s free! 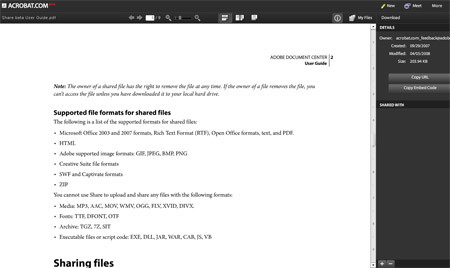 Acrobat.com is a web-based version of the popular PDF document creation apps. Acrobat.com is all about simplifying the word “collaboration”. 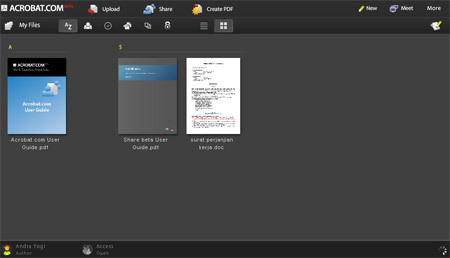 By using Acrobat.com you can create documents together with your friends or partners and the share it with other people. Helps you create and review documents together with your team. Very useful for web conferencing with up to 3 people. By using ConnectNow, you’ll be able to share your PC’s desktop an collaborate on a specific document real time. Helps you share your documents with your friends (5GB of space available). Adobe said that their goal is big but yet so simple, they said that they want to change the way people works together on documents, for the better good. Well I think we should help them achieve their goal. When I tried to test the Buzzword service, I waited so long to get my Word document to be converted to PDF (I’m using 1.5 MB/s internet connection). But when I tried it again with a different Word document it only took several seconds to convert. I wonder if any one experiencing the same issue. 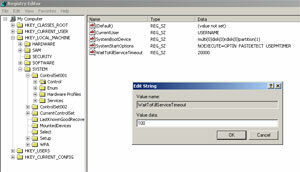 Interested in trying the public beta version of Acrobat.com? Well, what are you waiting for, head over to Acrobat.com to give a try.